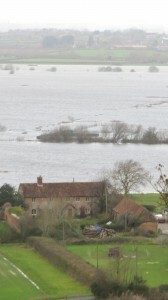 Building on Floodplains – Can this continue? If it is indeed the Environment Agency that holds ultimate responsibility, is it really in the best possible hands? Although a politician runs the agency now, should not private sector managers be preferred for their ability to to get things done on time and in budget? With such a substantial task required, should the ambition and get-up-and-go of a professional used to running a business be preferred to the slower work ethic of a long-term public sector servant? As to addressing the matter at hand, do we manage retreat in some areas frequently exposed to damaging floods? Would it not be cheaper to compensate some of the worst affected homeowners now and encourage them to move on elsewhere? A valiant chap tried to prevent his home flooding on the levels to preserve the capital value of his four year old property, but why build a property in that location when the probability of floods is so high? Perhaps even more pertinent, why buy such a house without carrying out a simple flood risk check beforehand? As insurance becomes ever more increasingly difficult to obtain in a property that has flooded or that may flood – what do we do to address this? It would be difficult to dictate to the private sector and force them to insure unviable or unprofitable risks. Who pays for the maintenance if a levy is to be taken? Does the whole country share the burden – or do the people who buy, occupy or build on flood plains pay extra? and if they do, which bearing in mind the Government’s drive towards Localism they should do, why don’t they? On the other side of the coin, if local authorities are encouraged to do so; what is the alternative? Britain has a substantial housing shortage – so where do we build? On green belt protected land? Local planning authorities need homes and flood plain land is typically level and uncomplicated. 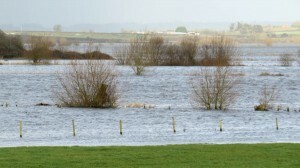 If companies are stopped from building on floodplains, what then? Urban sprawl across our green and pleasant land? That wasn’t well received when Nick Boles proposed to relax green belt regulations. Is there another solution? Should innovation be encouraged to create houses that are watertight up to first floor level? Should it be made a planning condition for developments on flood plains with a flood in the last 10 years to construct watertight houses up to a certain standard? What about a government competition for architects and building product designers to come up with the best solution? Or should S. 106 agreement for flood plain areas be a contribution towards flood defences, including dredging where appropriate?